A long-disputed proposal to construct 3,000 homes overlooking Red Rock Canyon will return in front of Clark County Commissioners on Wednesday, ushering in a renewed showdown between a developer and an environmental nonprofit. A long-disputed proposal to construct 3,000 homes overlooking Red Rock Canyon will return to the Clark County Commission on Wednesday, ushering in a renewed showdown between a developer and an environmental nonprofit. The county’s Zoning Commission, comprised of county commissioners, is expected to revisit the plan by Gypsum Resources LLC, for a mixed-use buildout on 2,010 acres in an area surrounded on three sides by Red Rock Canyon National Conservation Area. Save Red Rock, an environmental nonprofit, said it plans to host a press conference at the Clark County Government Center before the commission’s 9 a.m. meeting. The group is urging commissioners to strike down the proposal, saying it would remove important protections at Red Rock Canyon. 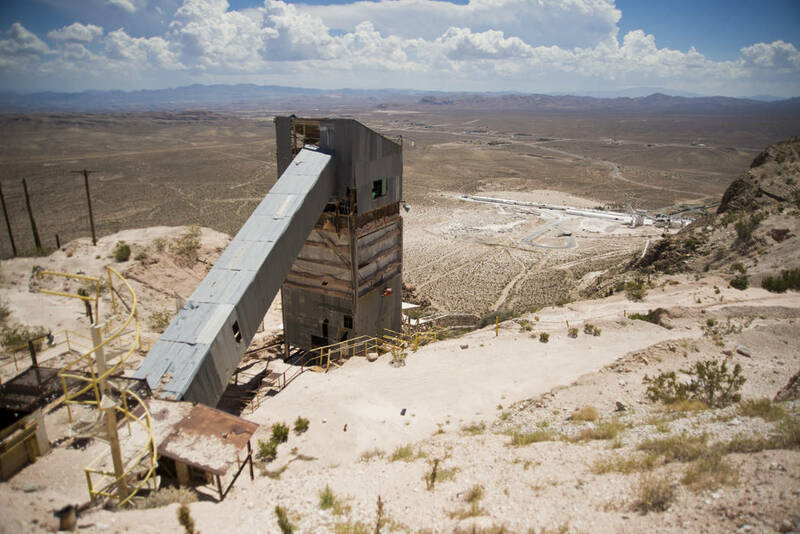 In November, after Save Red Rock dropped a lawsuit to stop the development atop Blue Diamond Hill, a Gypsum Resources project spokesman said the developer would continue to address community feedback and said the project would not make the area urban. Instead, the developer has envisioned the project as a sustainable rural village merging with the desert landscape, according to a county document. Commissioners will review three items brought by the developer: a specific plan, a public facility needs assessment and a waiver of the conditions established by the county’s approval of a concept plan in 2011. Each of those items has prompted at least 30 protest cards, and county staff said there are inconsistencies in the developer’s plans that must be addressed, according to notes in county documents. The project was expected to be presented to commissioners in December, but then-Commissioner Susan Brager — who represented District F, which includes the Red Rock Canyon area — informed Save Red Rock the proposal would be held until a new-look commission was sworn in this year. Justin Jones, who replaced the term-limited Brager on the commission, served as the attorney for Save Red Rock before stepping away in December. Contact Shea Johnson at sjohnson @reviewjournal.com or 702-383-0272. Follow @Shea_LVRJ on Twitter. The Clark County Zoning Commission will meet at 9 a.m. Wednesday in commission chambers at the Clark County Government Center, 500 S. Grand Central Parkway.